“Father, what do You want me to know?” I wrote in my journal. Did I really want to know what God had to say to me? I have been struggling with prayer lately, and I have come to the conclusion that it’s all my fault. I have been talking a lot AT God, but I haven’t been very good at including Him in the conversation. I was feeling like I needed a little extra help the other day, like I could use a good resource in addition to my Bible, so I went to Amazon looking for a text that could help me with tips to making my prayer life stronger and more authentic. 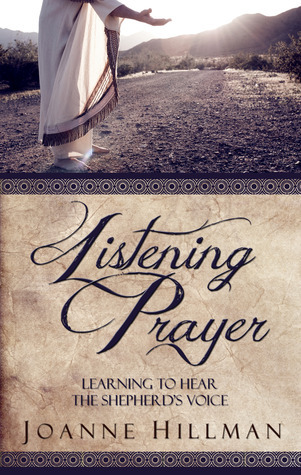 I came across Listening Prayer. It sounds like it could be a really excellent resource, and I look forward to reading it! As soon as I am done, I will definitely write a review in case you, too, are looking for a resource to help with your prayer habits. This book sounds like a must read! Thank you for sharing. Ellie Webb made her way down the steep incline of the favela, where hundreds of homes sat packed together in a sprawling maze of steep streets and unpaved narrow alleys. This one is a page turner! Thanks for sharing, Paula. I enjoy Lisa Harris’s novels. I hope you are having a great weekend. Prayer is so simple, but we all struggle with it so much from time-to-time in our walk with the Lord, don’t we? I might check out this book, Nicole, too. Another author who writes really good books on prayer is Andrew Murray. Thank you for the author suggestion. I will definitely check him out. And, thank you for sharing your first lines. I hope you are having an excellent weekend! Thank you, Nicole, for sharing this book. It sounds like it would be a really great book to read on prayer. I look forward to hearing your thoughts!! 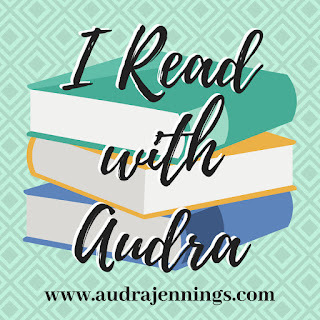 Over on my blog, I’m sharing the first line from Rachel Fordham’s debut book “The Hope of Azure Springs.” I hope you get the chance to check it out! Here I’ll share the first line from Chapter Five. Thank you, Trisha, for sharing! I can’t wait to read The Hope of Azure Springs. Hope you are doing alright today. And, I hope your weekend has been excellent so far. I just got home from a 3-day work conference. I’m exhausted. Now, I have to catch up on all my blog work! I hope your conference went well and that you are able to catch up on some rest! Thank you for sharing this book with me. I will have to check it out. Hope you are having an excellent weekend with lots of great reading time! I’m sharing about “The Hawaiian Discovery” by Wanda E. Brunstetter and Jean Brunstetter over on my blog today. Since I’m currently reading a YA Christian fantasy novel called “Choice of the Mighty” by Kenyon T. Henry, I’ll share my first line from there. Ooooh! I look forward to reading your review on this YA novel. I’m always looking for good books to share with my students. Hope you are having an excellent weekend filled with great reading time! Thank you for sharing! I hope you are having an excellent weekend with lots of quality reading time! Sounds good! I can definitely relate! I hope you are having an excellent weekend with quality reading time. I cannot wait to read that book. Thanks for sharing. Hope your weekend has been excellent and you’re getting some quality reading time! Listening for God is something I would like to do better, too. Thanks for sharing this book! Thank you for sharing, Ellie. I have The Saturday Night Supper Club waiting for me to have free time to read it. One day! Hope you are having an excellent weekend! It’s said that we’ve turned into a society of talkers but not listeners. I hadn’t thought to relate that to our prayer lives, but it does make sense. Thanks for sharing – I’ll watch out for your review. The hunter had become the hunted. Poetic? Not really. Thanks so much for sharing. I can’t wait to get to the Timeless Love collection. I just need time!!! This looks like a great book thanks for sharing! The book I’m sharing on my blog is Dead Drift by Dani Pettrey but here I’ll share the book I’m currently reading The Hope of Azure Springs by Rachel Fordham: “‘She dead?’ Em heard a man’s voice from somewhere above her.” Hope you have a great weekend! This sounds like a wonderful book! And I love your new FLF picture–a perfect cup of tea. 🙂 Happy reading!